It’s the return of #MasterofCocktails! 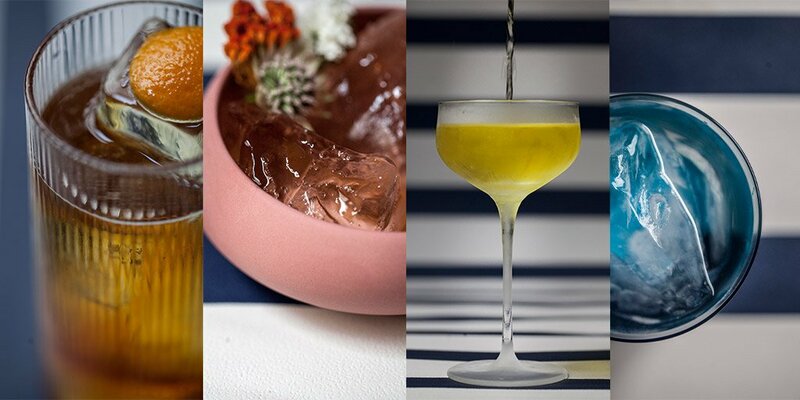 And there are a few changes to the format… We’re going to be making this a much less step-by-step affair – in return though, you’ll be getting more advanced, exciting cocktail recipes, with more focus on presentation and garnish. We’re also moving to once a fortnight, although still at the usual time of 6pm Sunday on twitter and on the blog the very next day. Greetings to you all. Time for another #MasterofCocktails? I think so. Last one for a few weeks this, due to impending progeny. Today we’re making a drink that sounds thoroughly weird, but I assure you is delicious. It’s a gin sour that uses olive oil as an emulsifier. Now – you can make this drink by shaking, but there is a better way if you’re making at home instead of in a bar. So – we’re going to repair to the kitchen. Right then Ladies and Gentlemen – it’s time for another #MasterofCocktails. Excited? Oh yes. This week we’re making a Chartreuse-heavy ‘Bijou Cocktail‘ recipe, though we’re making it with slightly less Green Chartreuse as to not overwhelm the drink. ‘Bijou’ of course, is French for ‘Jewel’, and the cocktail’s name comes from the colours of precious jewels (emerald, diamond and ruby) being similar to the colour of the ingredients (Chartreuse, Gin and Vermouth). Yesterday saw the winners of the 2015 World Drinks Awards announced, as well as the winners of Whisky Magazine’s Icons of Whisky and World Whiskies Awards – a very busy rotation of the Earth! It was also a fantastic day for many of the brands we work with / own / represent as you’ll see from the veritable cornucopia of trophies and awards below. Drink by the Dram have also produced a selection of Winners Tasting Sets, which you can find here.